WPBakery Plugin Review - Ultimate visual design Plugin. Looking for a way to zhoosh up your website without any coding? WPBakery plugin is an easy-to-use, drag-and-drop page builder. Although you have the option to choose from a library of predefined content elements and entire templates, it's also highly customizable. 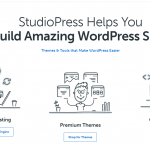 Best of all, it works with any WordPress theme. Want to learn more about its key features? Scroll on to read our WPBakery Page Builder Plugin review! In addition to a backend editor, WPBakery Page Builder has a frontend editor, which allows you to view your changes in real time. You can use either at any time. And of course, you can hide select content as well. Everything is totally customizable—a definite plus. Design options include everything from setting borders, margins, paddings and border radius to using color panels and alpha. Create full-width and -height rows and columns and control gap size with a single click. There are also smart stretching options; set control-stretching parameters to stretch the background alone, or background with content, or, well, you get the point. If that sounds like a bit much, the library contains more than professionally designed 40 grid templates. You can discover new elements as well as saving your own elements with the "My Element" preset so you can copy it later. The Media Library has professional image filters for your photo-based elements. You can apply blanket styles so all images throughout your site match up. Want to add even videos into row backgrounds to create parallax-style backgrounds? Go ahead. Of course, you can also add icons from most popular icons libraries, like Font Awesome, with a single click and specify the links. Fully compatible with the Advanced Custom Fields plugin (ACF), WPBakery Page Builder enables you to combine the two plugins to manage and display custom fields on your site. Responsive design is a must for web designers, and fortunately, WPBakery Page Builder gives you full control. WPBakery Page Builder Responsive Preview is available out of the box to ensure your site looks and functions great on mobile and tablets. With more than 200 unique extensions, WPBakery provides information about their developer API so you can extend the plugin, should you wish to. For non-coders (or simply those who don’t want to spend the time), Shortcode Mapper lets you add third-party shortcodes to your content elements. Need to build multi-language websites? WPBakery Page Builder is suited for multilingual functions. BG, DE, ES, IR, FR, IT, JP, NL, PL, BR, RU, TW, and Arabic are contributed by users, and .po and .mo files are included for easy translation. Additionally, the plugin is compatible with qTranslate X, Polylang and WPML. WPBakery Page Builder is also compatible with various other applications. It's SEO-friendly—it supports most popular Yoast SEO plugins—and it's compatible with e-commerce applications, as well, functioning with WooCommerce-powered online shops. (All WooCommerce shortcodes are now available in the WPBakery Page Builder Element Menu once you have both plugins installed.) WPBakery Page Builder is also compatible with the Gutenberg editor, so you can easily pair WPBakery layouts with Gutenberg blocks. 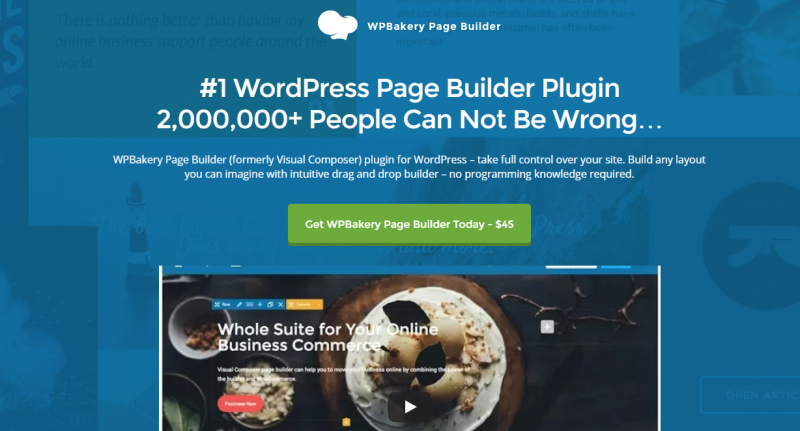 With great customer service—including free lifetime updates and dedicated support, plus the opportunity to join WPBakery's Slack channel to share with and receive expertise from knowledgeable users and the core developer team—this intuitive WPBakery Page Builder Plugin for WordPress gets two thumbs up. Looking for a way to zhoosh up your website without any coding? WPBakery WordPress Page Builder is an easy-to-use, drag-and-drop page builder. WP2.net helps you find the best plugins for WordPress. We review plugins in many categories and give advice on the best of the best to save you time and money.